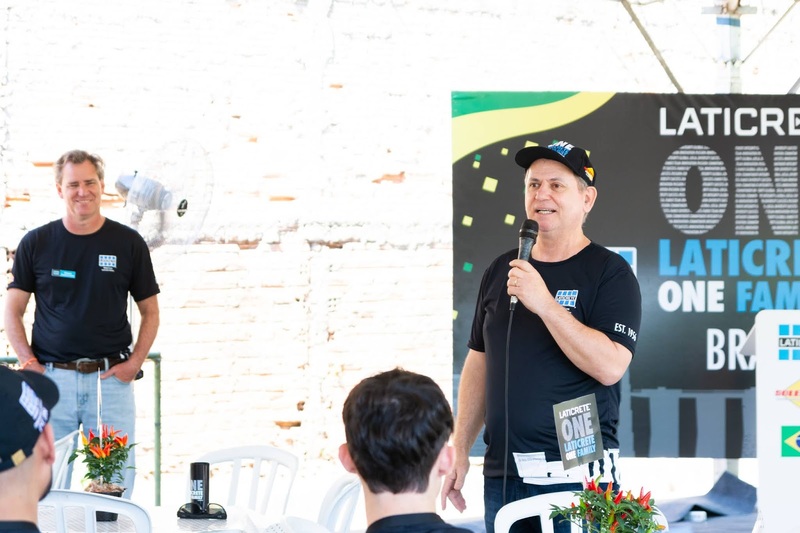 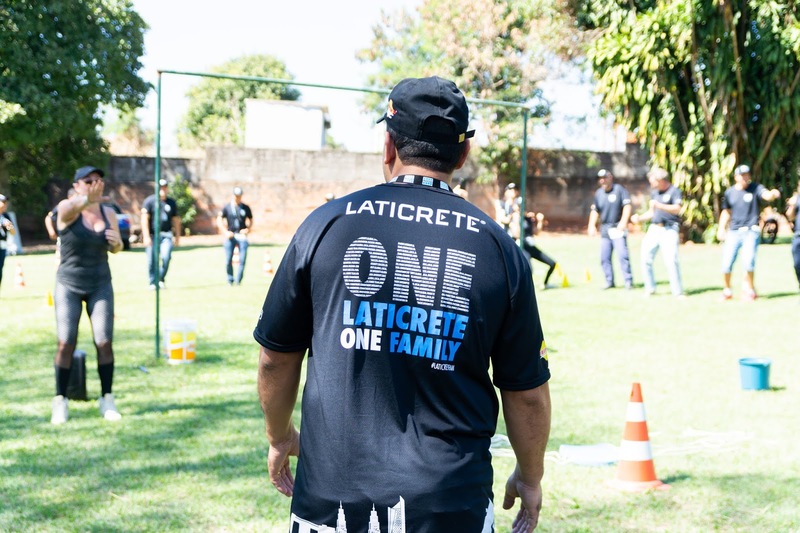 Last week the ONE LATICRETE ONE FAMILY event was held at LATICRETE® Solepoxy (newest business unit in the LATICRETE family) for a day of celebration in Brazil. 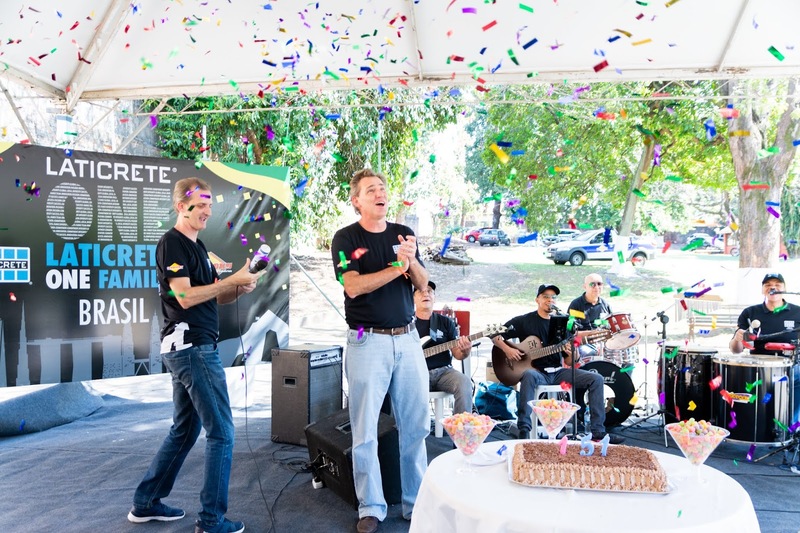 Team members were met by the Rothberg family (David A. Rothberg, CEO/Chairman and his son, Daniel Rothberg), the President & COO International Division and several executives from the international team. 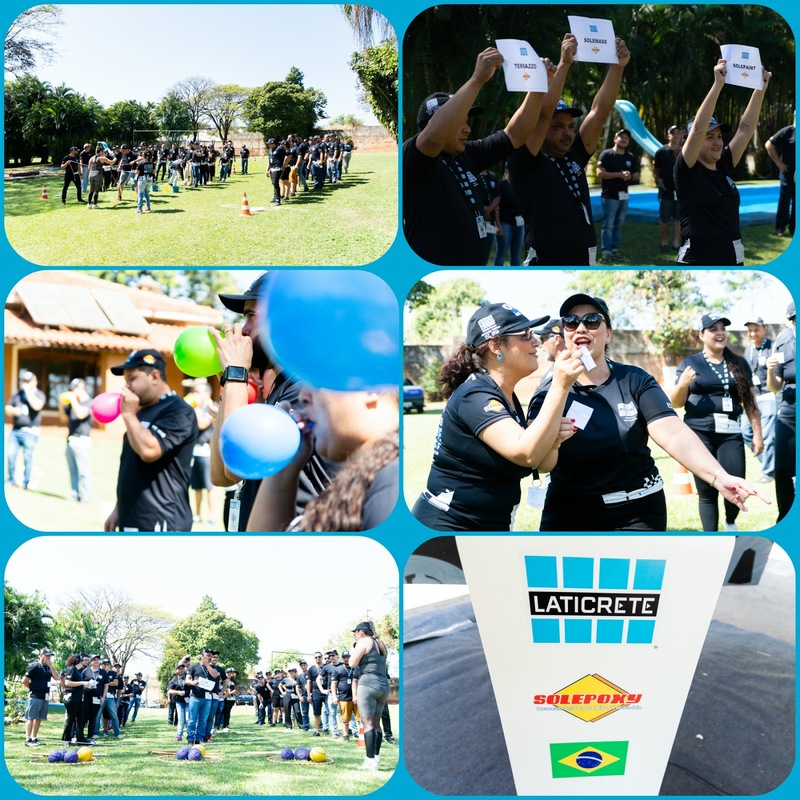 The day was spent at Toca dos Leões Farm where the team listened to inspiring speeches, participated in fun team building activities followed by a dinner with the management team. 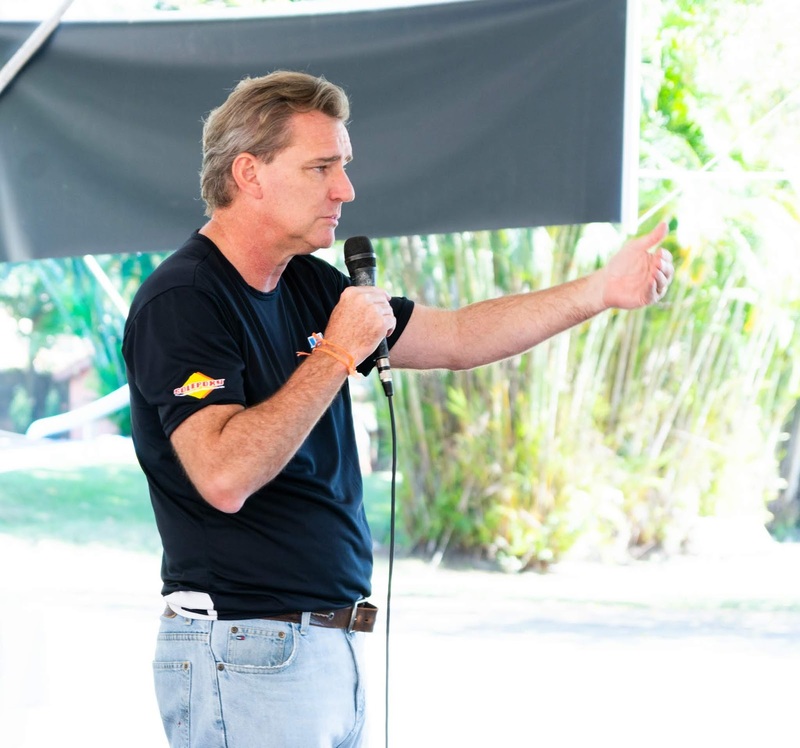 Alexis Joseph Steverlynck Fonteyne, General Director LATICRETE Solepoxy Brazil, reinforced that all employee are family and how he’s proud to be a part of this great company for many years. Afterwards the team was divided into 3 large groups to participate in several team building activities that fostered the concept of “together as a family we are stronger”. 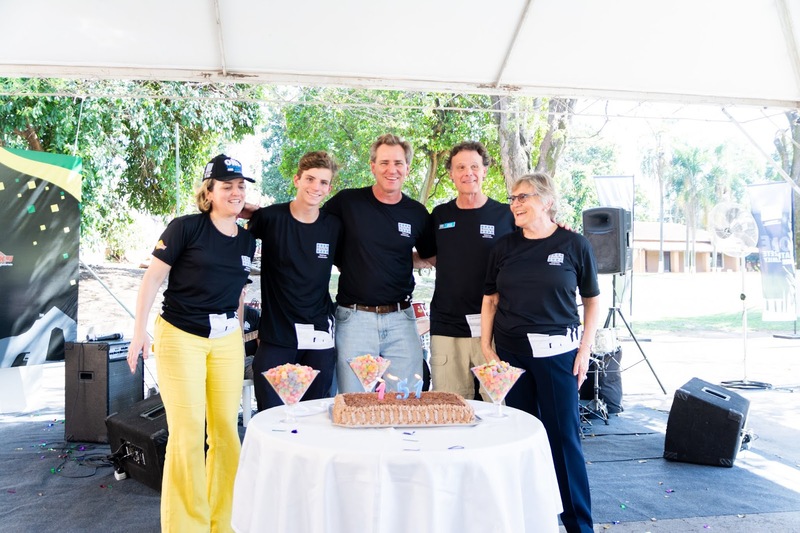 The teams included David Rothberg and his family which reinforced the concept of one family. 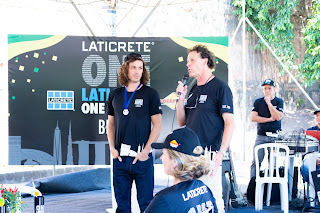 Battle Cry: Excited and motivated the teams. 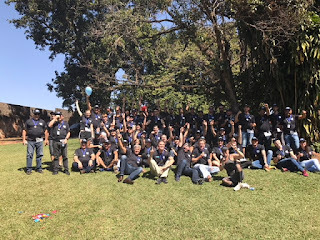 "Find a Number Equal to Yours": Showed the individual the importance of each teammate (each human being is unique and important in its function). 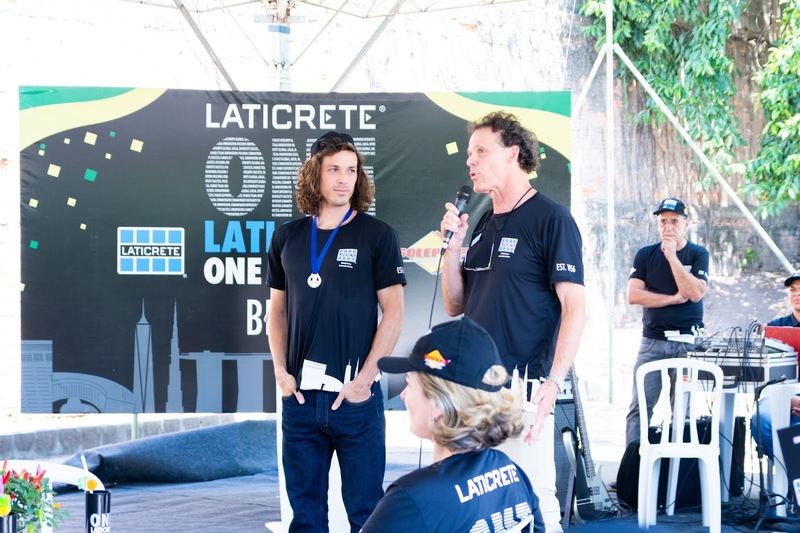 "Carry the Balls from One Bow to the Other": Showed the importance of a team (you need your teammate and they need you too). 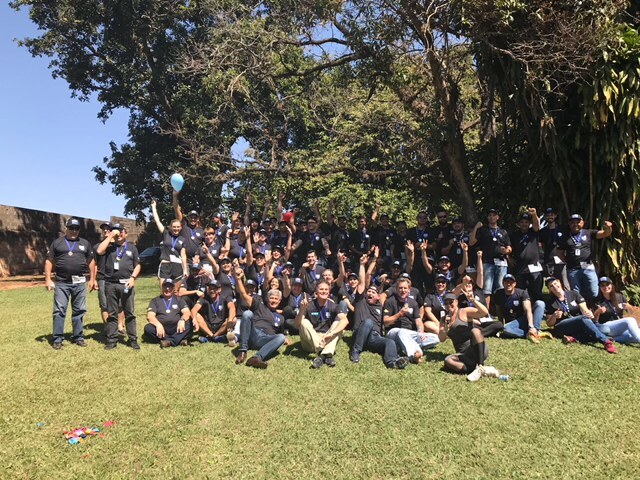 "Hook": To complete the activity, the team needed all the employees to integrate and unite to the successfully finish the activity. "Final Circuit": Showed the value of cheering each other on for support and to reinforce the value of family. The birth and growth of the company to this day. 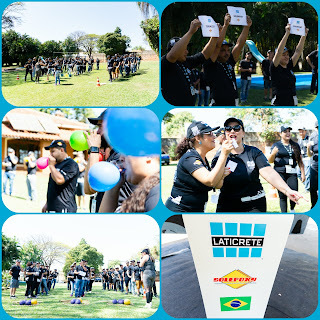 The concept of the family, working together, that each employee is important and that together we can accomplish everything! The team enjoyed a typical Brazilian feijoada (bean stew) to the sound of some good samba de roda music. 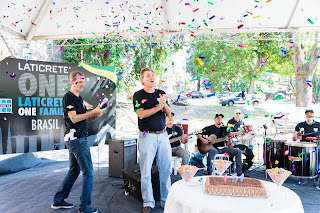 After lunch, Jesler Freitas, Region Manager South America and the team celebrated the birthday of Alexis, the General Director LATICRETE Solepoxy and the 15 year anniversary of Solepoxy and the contributions of everyone to make this day special. 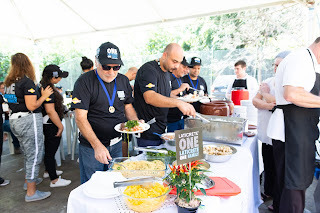 How better to do that then with chocolate cake! 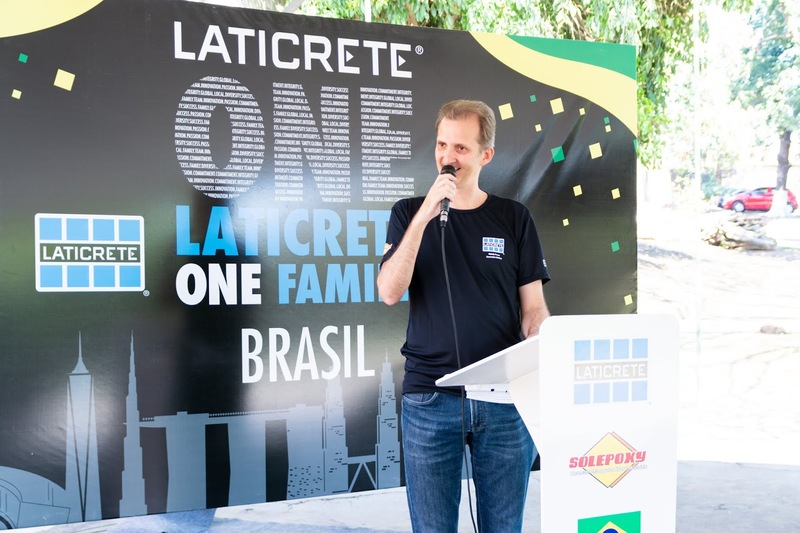 The day continued with the Rothberg family along with several members of the international team touring the LATICRETE Solepoxy plant. The night ended with the Solepoxy team getting together for dinner with the management team where both David Rothberg and Erno de Bruijn, President & COO International Division, shared their expectations and hopes for the future growth of the company in Brazil.